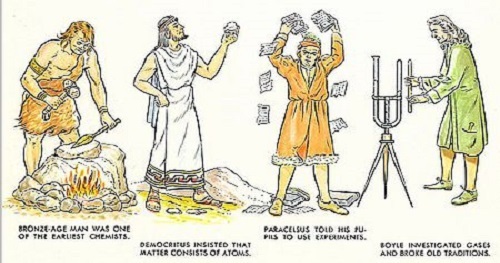 History of Chemistry: The history of chemistry is rich, evolving from early discussions on the nature of matter in ancient Egypt and Greece, through to the emergence of alchemy, the development of the periodic table and quantum chemistry. By 1000 BC, civilizations used technologies that would eventually form the basis of the various branches of chemistry. Examples include extracting metals from ores, making pottery and glazes, fermenting beer and wine, extracting chemicals from plants for medicine and perfume, rendering fat into soap, making glass, and making alloys like bronze. Chemistry is considered to have become an established science with the work of Antoine Lavoisier, who developed a law of conservation of mass that demanded careful measurement and quantitative observations of chemical phenomena. Canada's Small Reactor Demo Projects: Ready, Set, Go!